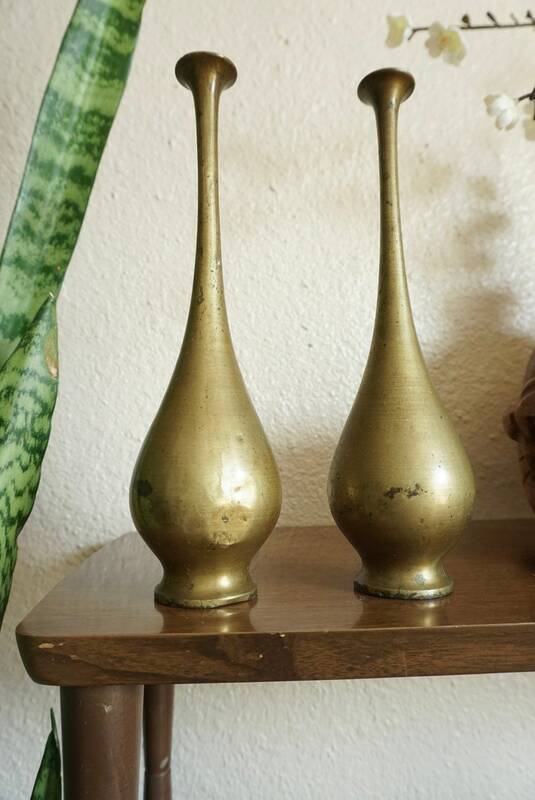 Solid brass bud vases with bulb body and thin elongated neck. 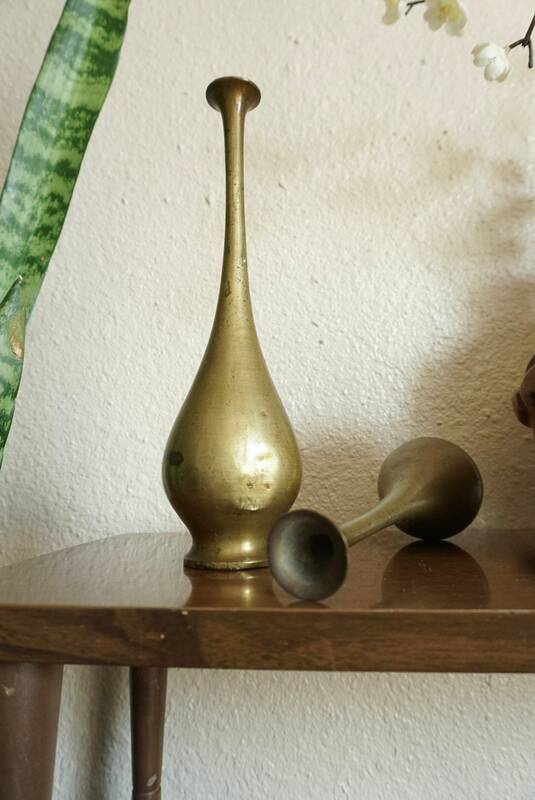 Small opening and can fit one bud stem. 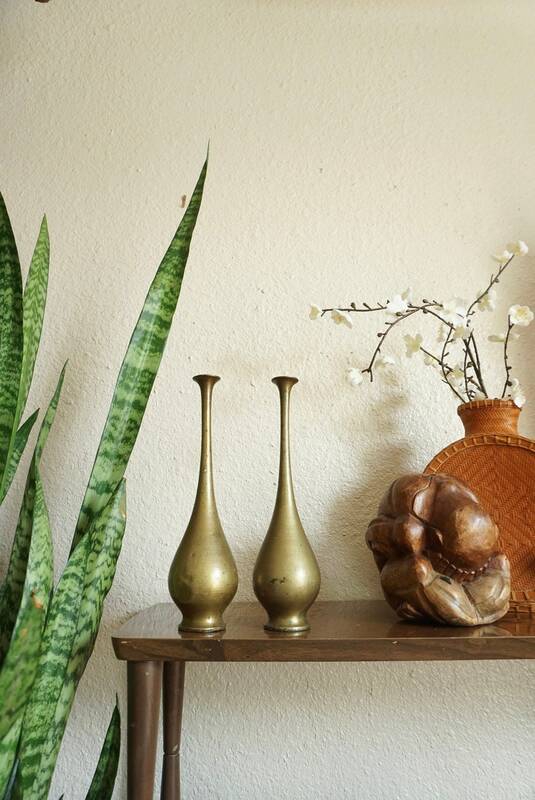 A gorgeous set with a rich gold hue and lots of worldly charm. 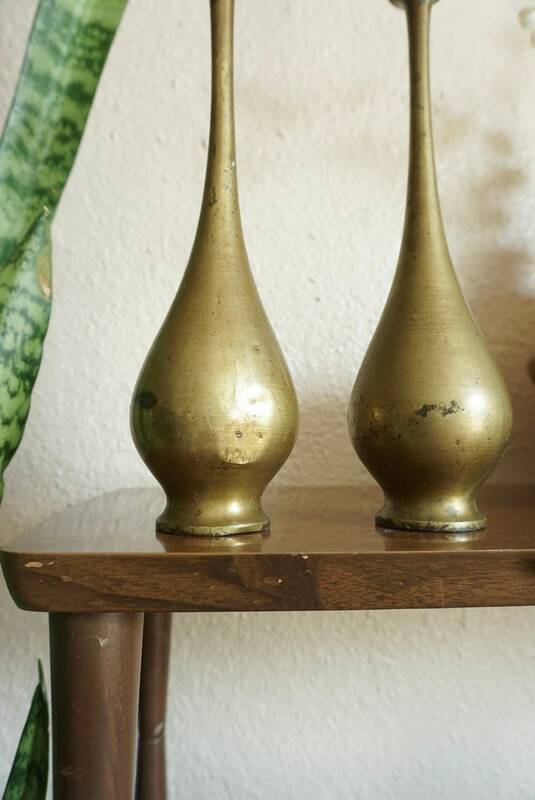 Used vintage condition with signs of wear. 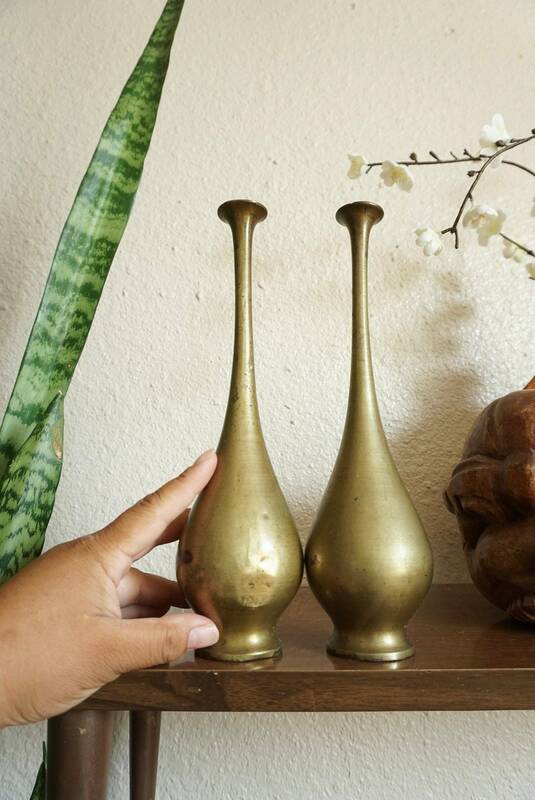 One of the vases has a dent on the body and a dark tarnish spot (see photo). 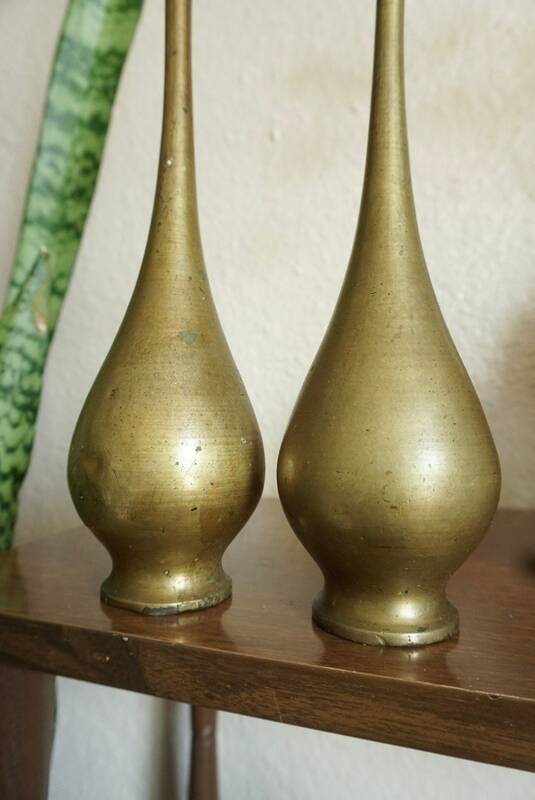 Bottoms of vases exhibited wear and minor denting.